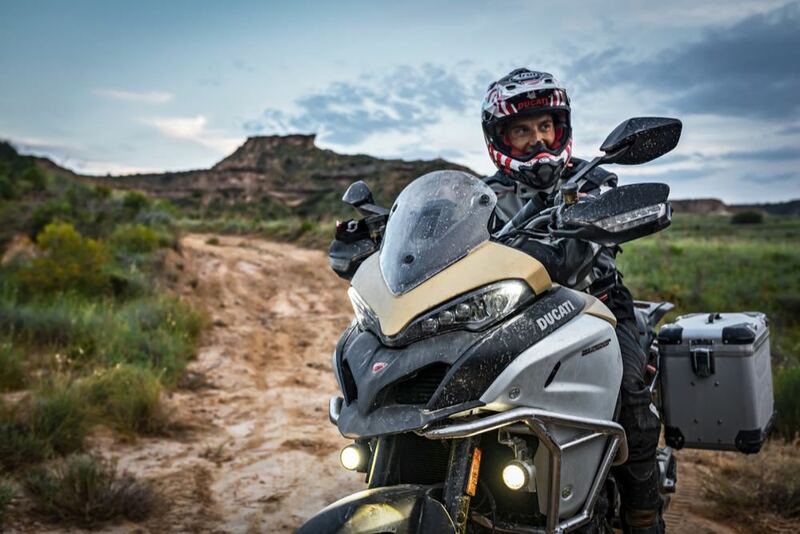 Good news for adventure riders; Ducati has revealed its most extreme version of its adventure bike – the Multistrada 1200 Enduro Pro. As the name might suggest, this version is designed to cope with going further off the grid and on even more severe terrain. 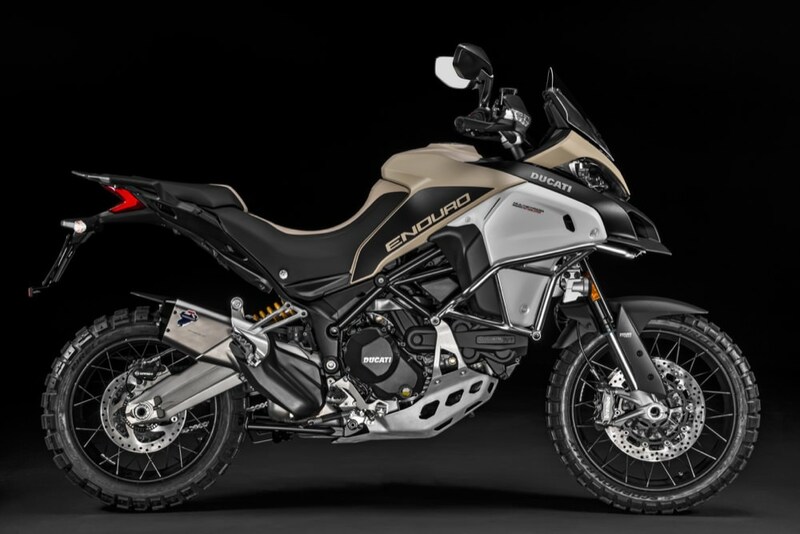 Ducati has given it a suitable finish with a sand-coloured paint scheme on the front beak and tank cover that even has a rough finish to it. This is one Ducati that you won’t be getting too worried about putting a few scratches on. 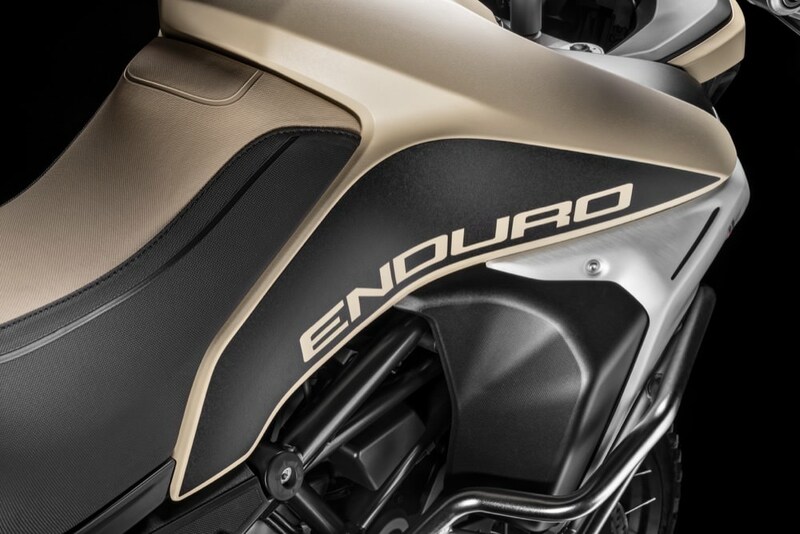 There is also a new two-tone saddle that is specific to the Enduro Pro. 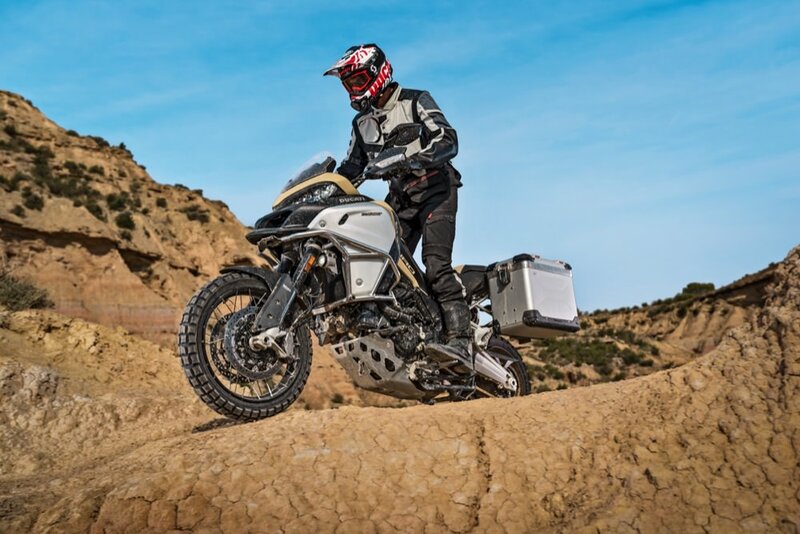 Its off-road ruggedness is backed up by beefier crash protection bars around the engine, which have been designed by Touratech. This additional protection includes a more substantial sump guard. Extra LED lights will illuminate the trails at dusk or help wake up drivers in the overtaking lane. A lower screen is aimed to make it easier to see over when you’re standing on the footpegs. 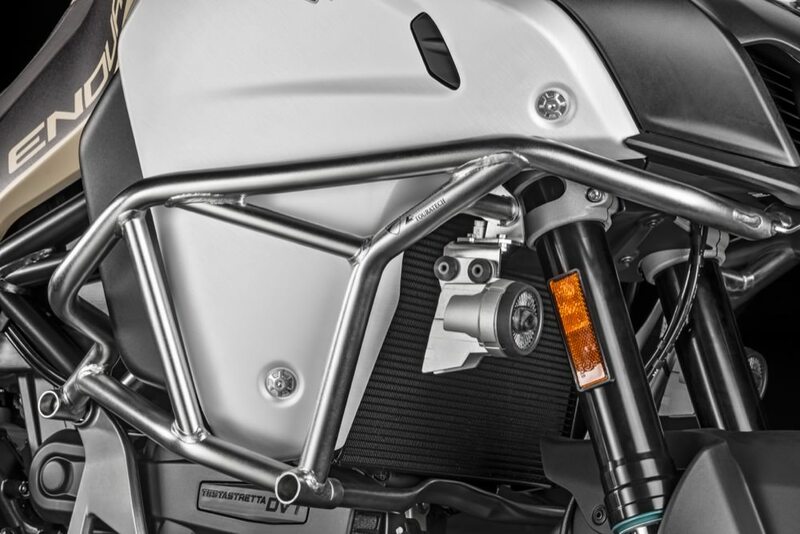 In addition to all that extra protection, Ducati has equipped the Enduro Pro with all of its latest rider aids. 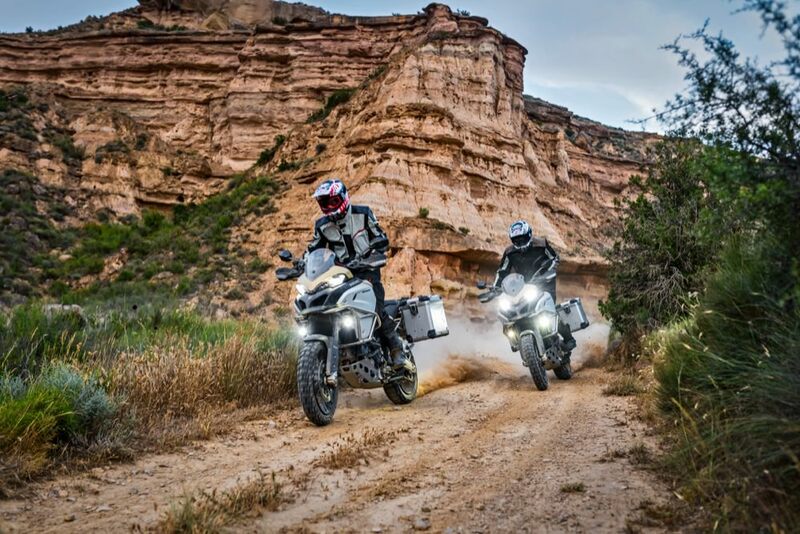 Cornering ABS, corning lights, traction control, semi-active suspension along with wheelie control and hill-start mean that you should have little reason for getting stuck. On longer rides, there is an electronic cruise control feature. 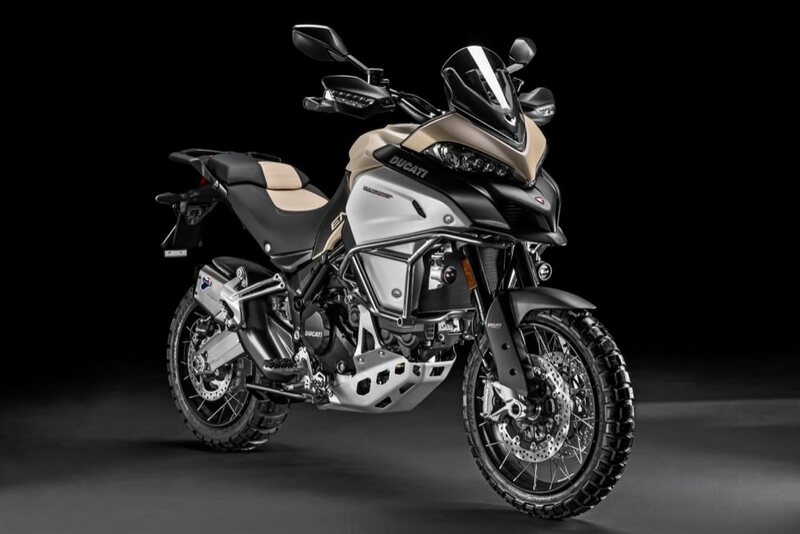 The Testastretta V-twin engine remains unchanged, though with 152hp this is no slouch. 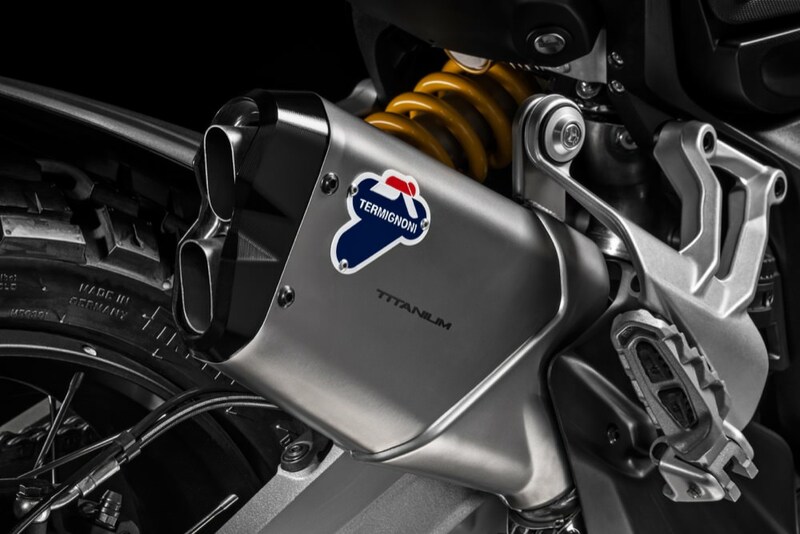 It meets the latest EURO 4 type approval for emissions and features a Termignoni exhaust for a little extra bark. 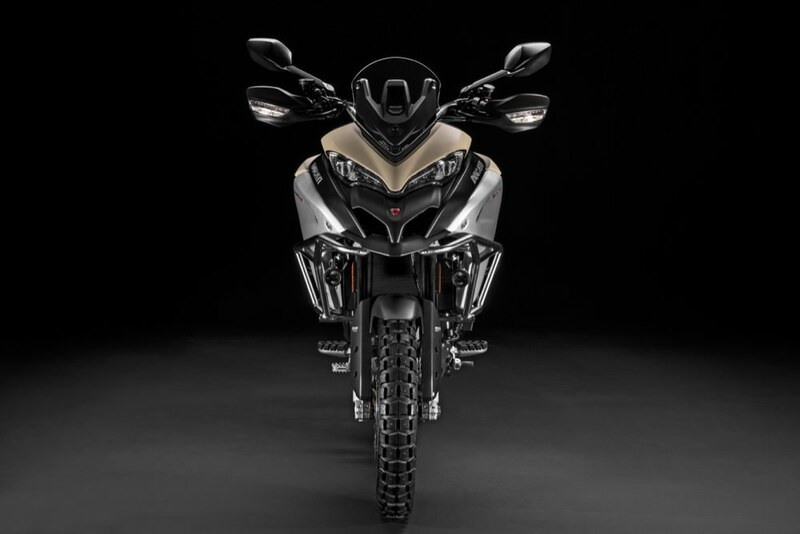 Riders can choose from Enduro, Touring, Sport and Urban modes, all of which alter the Multistrada’s performance characteristics via the bike’s ride-by-wire throttle. 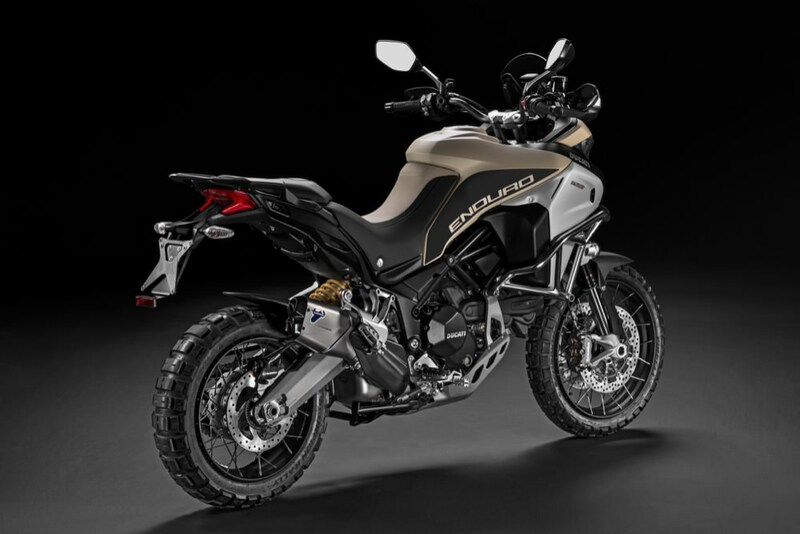 Other standard features onboard the Enduro Pro include a Bluetooth module to allow for smartphone connectivity and can display incoming calls and text messages via the bike’s Multimedia System.